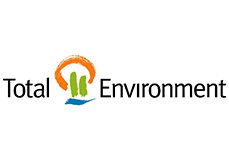 Avendus Capital advises Total Environment on its funding from Peninsula Brookfield Fund. Total Environment Building Systems, a Bangalore based architectural design and real estate development firm, that designs and develops high quality customized homes, has raised INR 2,000 Mn from Peninsula Brookfield Fund in the form of Structured Debt. The funds raised will be utilized for the construction of two of the company’s projects - Van Gogh’s Garden in Bangalore and Songs from the Wood, in Pune, as well as help complete the exit of an investor at Van Gogh’s Garden. Avendus Capital was the financial advisor to Total Environment for this transaction. Total Environment Building System (“TEBS”) was founded by Mr. Kamal Sagar in 1996. The company’s business model is based on providing high quality residential housing with an emphasis on aesthetics & architectural design, encouraging the owners to customize every aspect of their home. The Group’s design philosophy is about creating physical environments that are in harmony with their surroundings. The company’s distinctiveness lies in strong attention to detail and contemporary design that makes living a joyous experience. It is focused on the Bangalore market with projects in Pune and Hyderabad as well. Avendus Capital is a leading financial services firm which provides customized solutions in the areas financial advisory, equity capital markets, alternative asset management and wealth management. The firm relies on its extensive track record, in-depth domain understanding and knowledge of the economic and regulatory environment, to offer research based solutions to its clients that include institutional investors, corporations and high net worth individuals/families. In recent years, Avendus Capital has consistently been ranked among the leading corporate finance advisors in India and has emerged as the advisor of choice for cross-border M&A deals, having closed around 40 cross-border transactions in the past 5 years. Avendus PE Investment Advisors manages funds raised from its investors by investing in public markets, while Avendus Wealth Management caters to investment advisory and portfolio management needs of Family offices and Ultra High Networth Individuals / families, spanning all asset classes. Headquartered in Mumbai, the firm has offices in New Delhi and Bangalore. Avendus Capital, Inc (US) and Avendus Capital (UK) Pvt. Ltd. located in New York and London respectively are wholly owned subsidiaries offering M&A and Private Equity syndication services to clients in the respective regions. Avendus Capital, Inc. (US) also provides wealth management services to clients in select jurisdictions in USA.